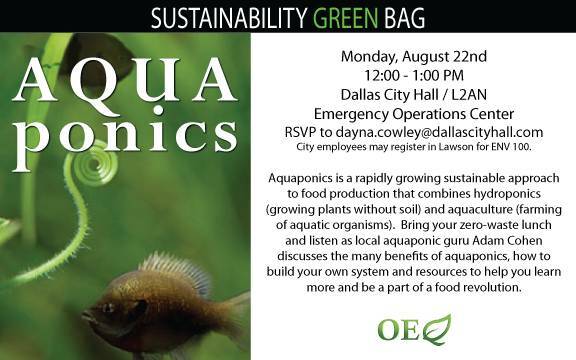 HomeAquaponics at Dallas City Hall!!!!! Wanna come listen? I am interested in learning how to start my aquaponics system. When will you have another workshop. We are involved in a indoor hydroponics project in Dallas and wanted to reach out to you to discuss some of the options available for adding aquaculture to the project. Please email me and we can set-up a time to speak or get together for a coffee.